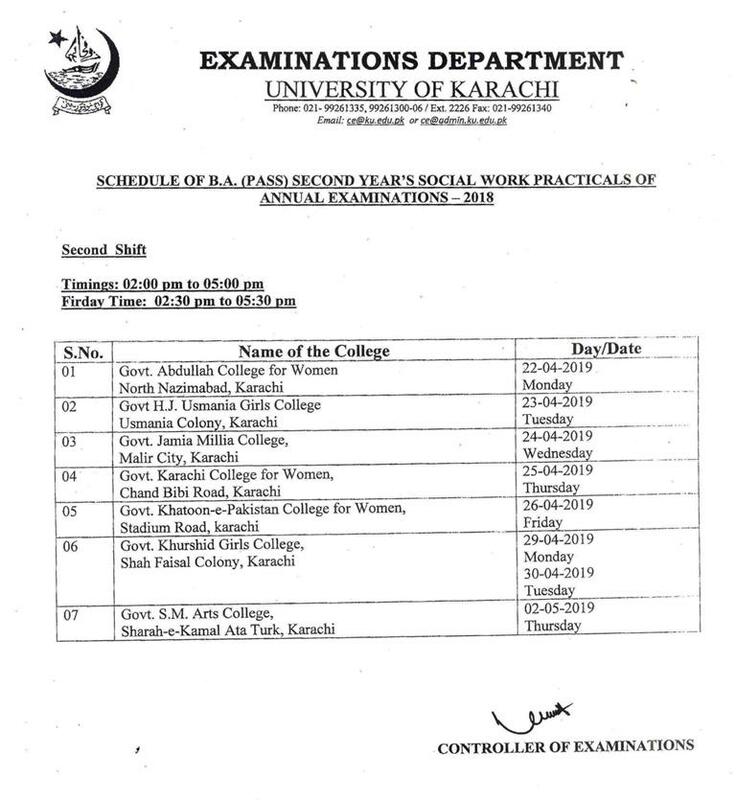 University of Karachi is the oldest and largest general education public sector university in Sindh province. 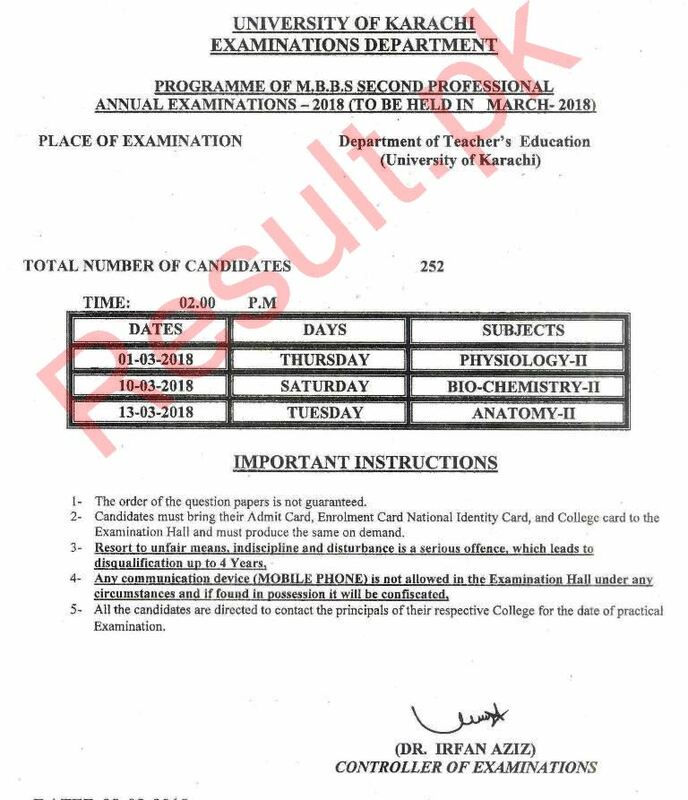 Most of the public and private graduate and postgraduate colleges in Karachi and other parts of Sindh are affiliated with Karachi University while thousands of regular and private students appear in the BA/ BSC, MA/ MSC and other exams every year. 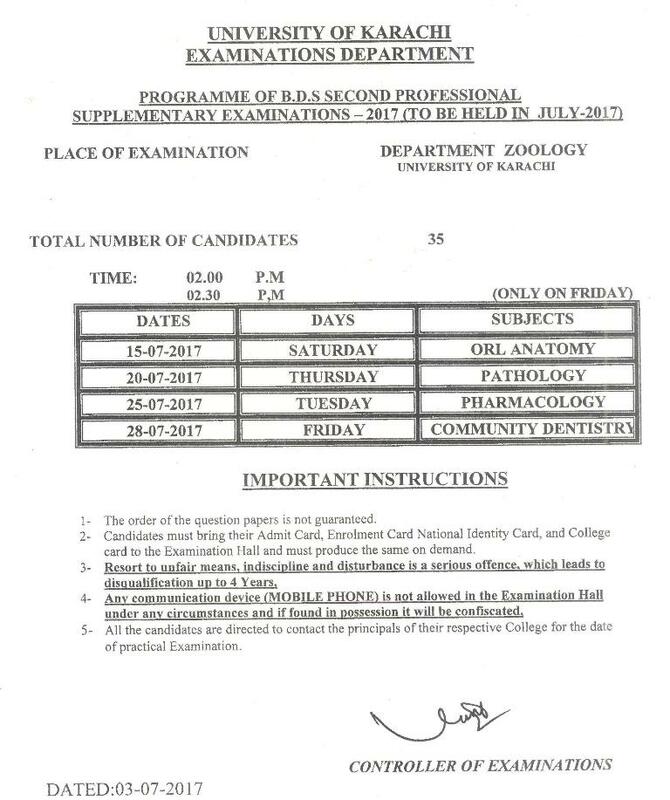 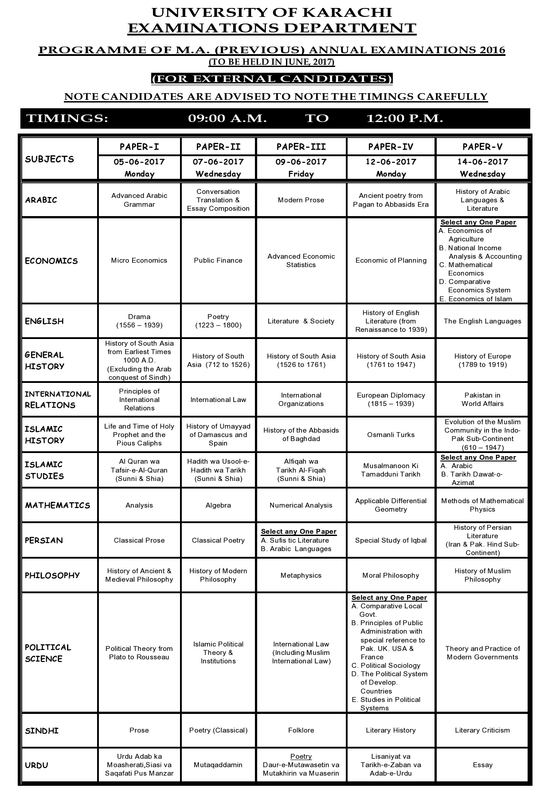 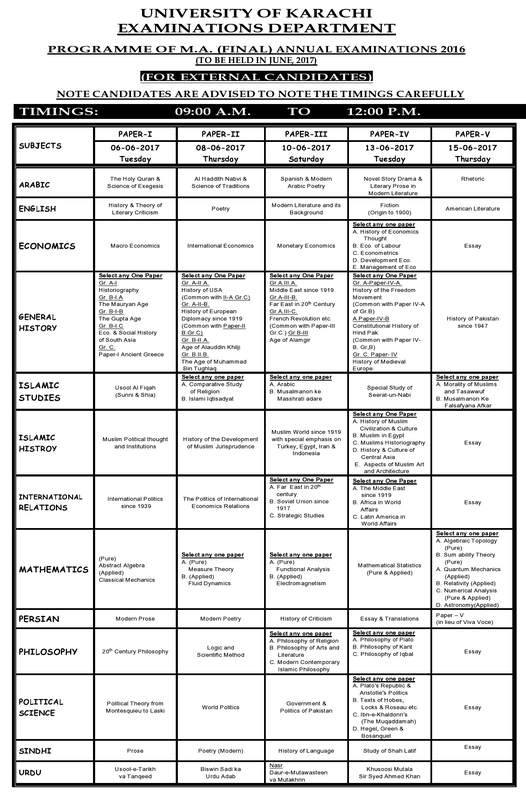 Karachi University organizes the exams from BA/ BSC to PhD level. 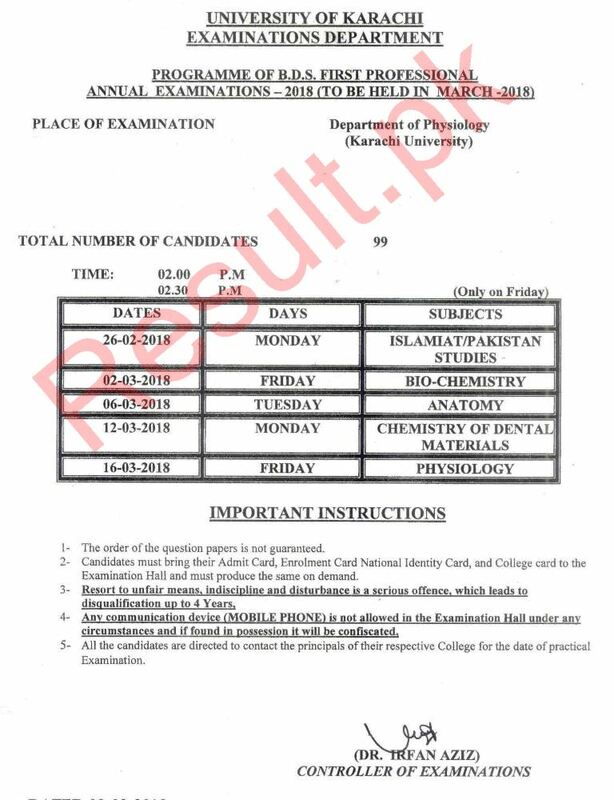 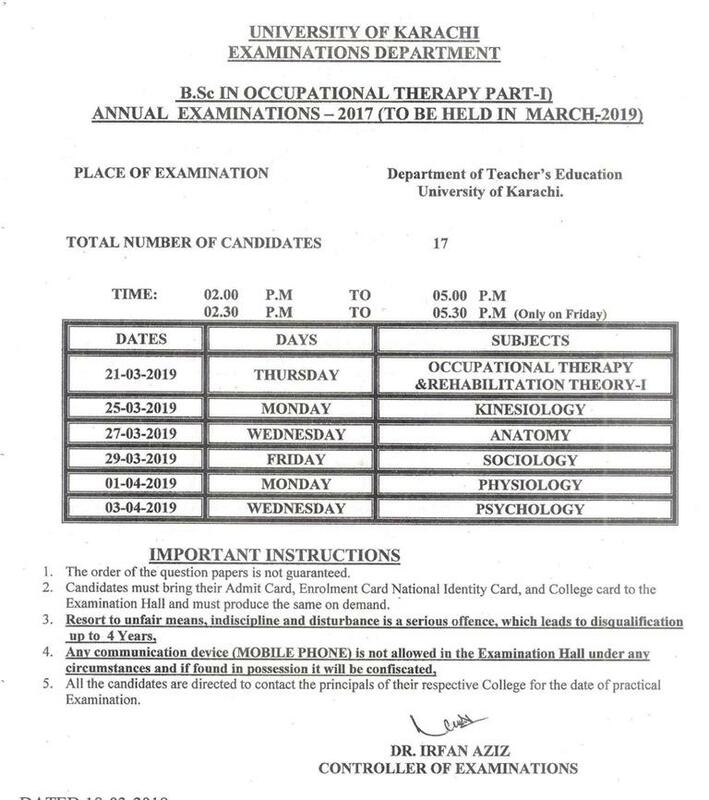 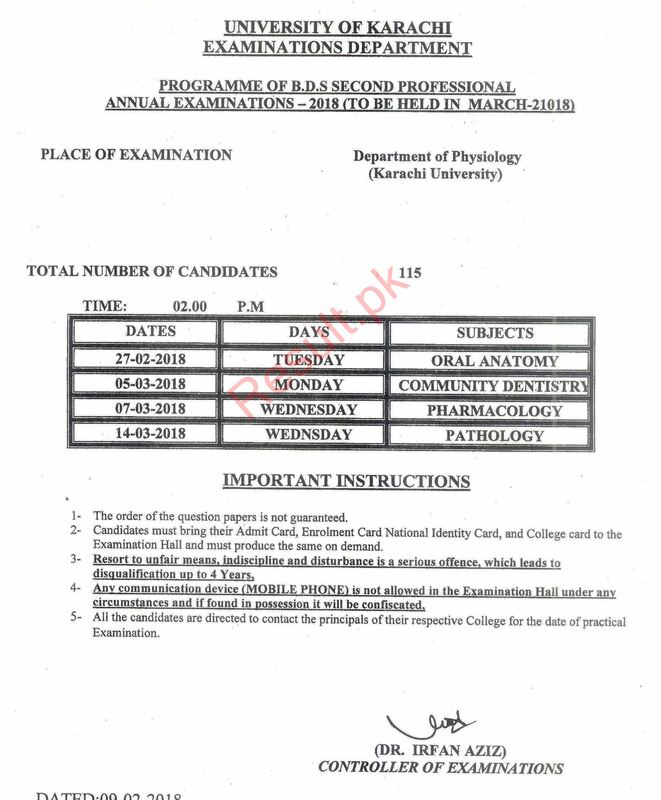 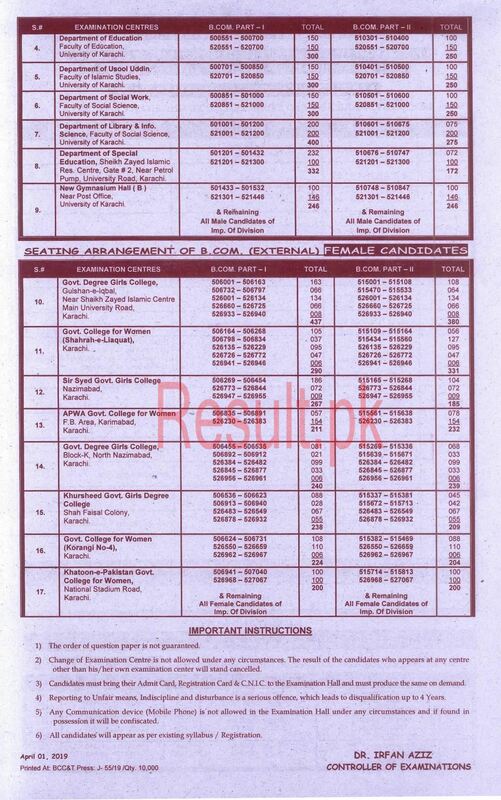 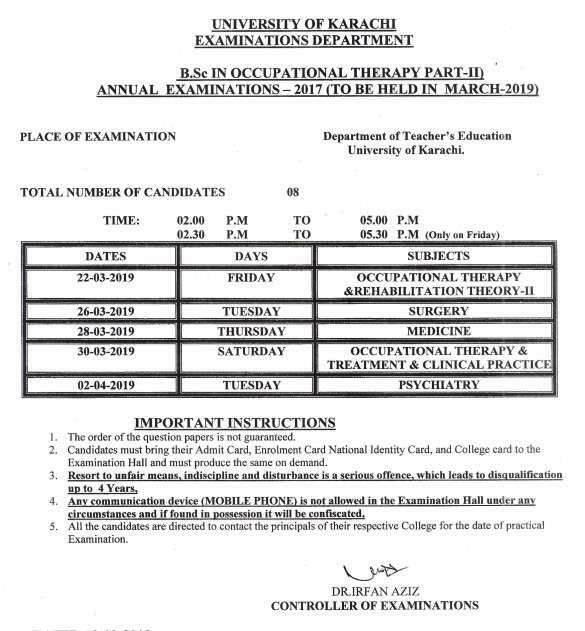 BA/ BSC annual exams under KU are held during the months of March and April while MA/ MSC annual exams are conducted by KU in the months of May and June. 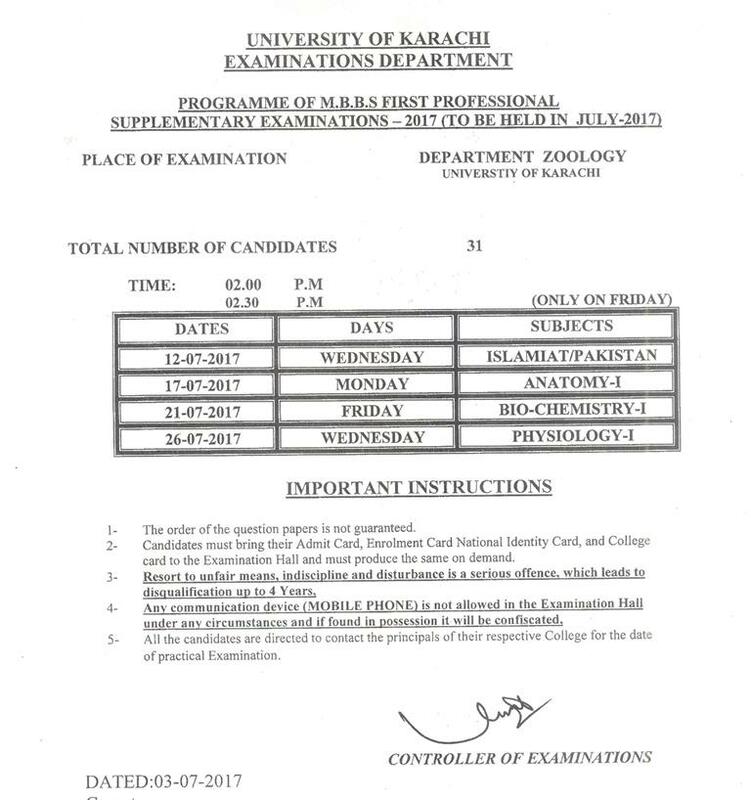 In both the classes, written and practical papers are held separately. 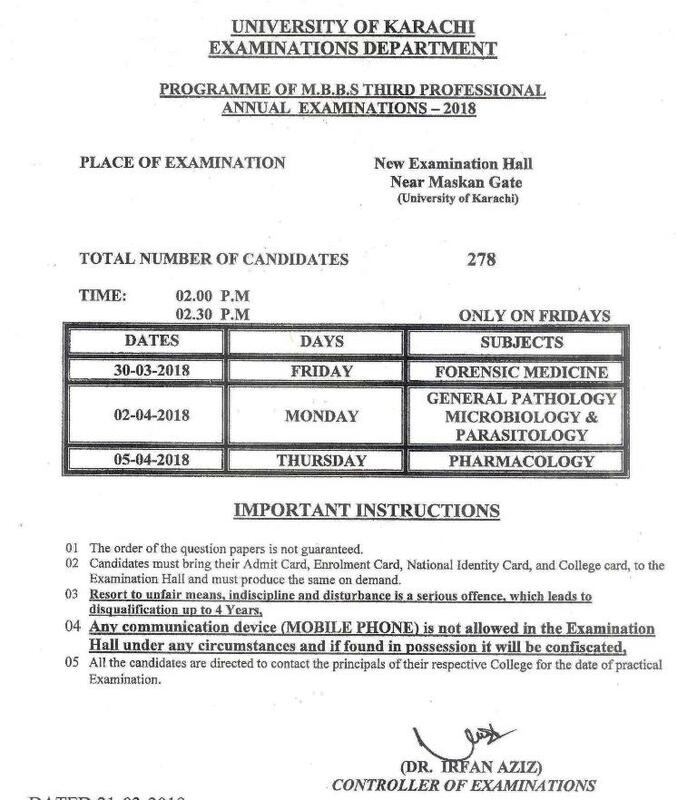 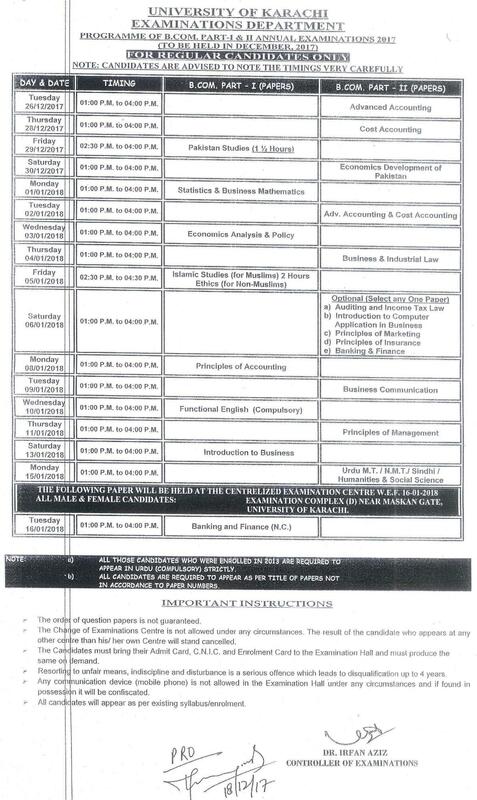 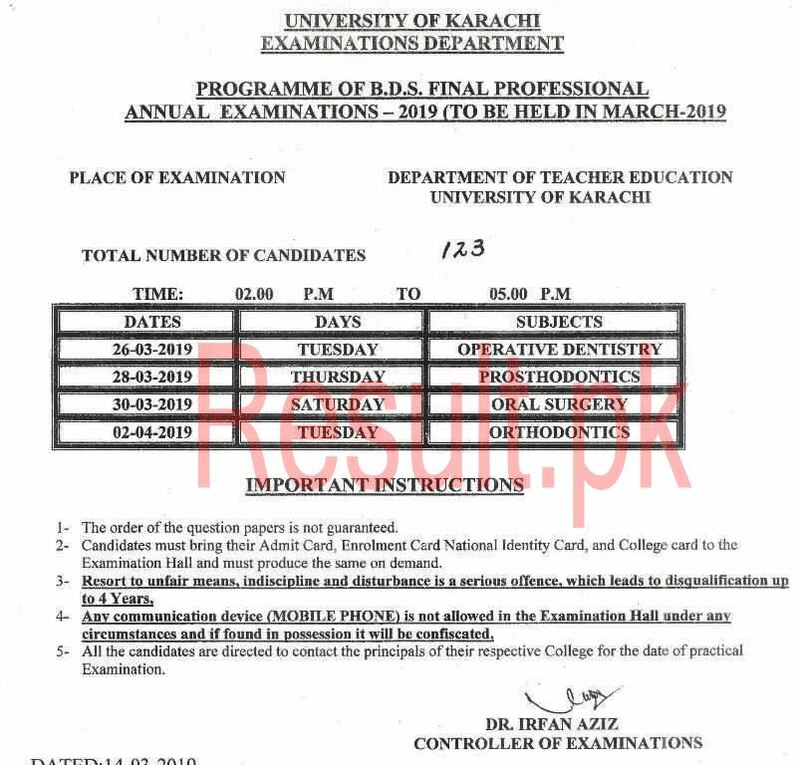 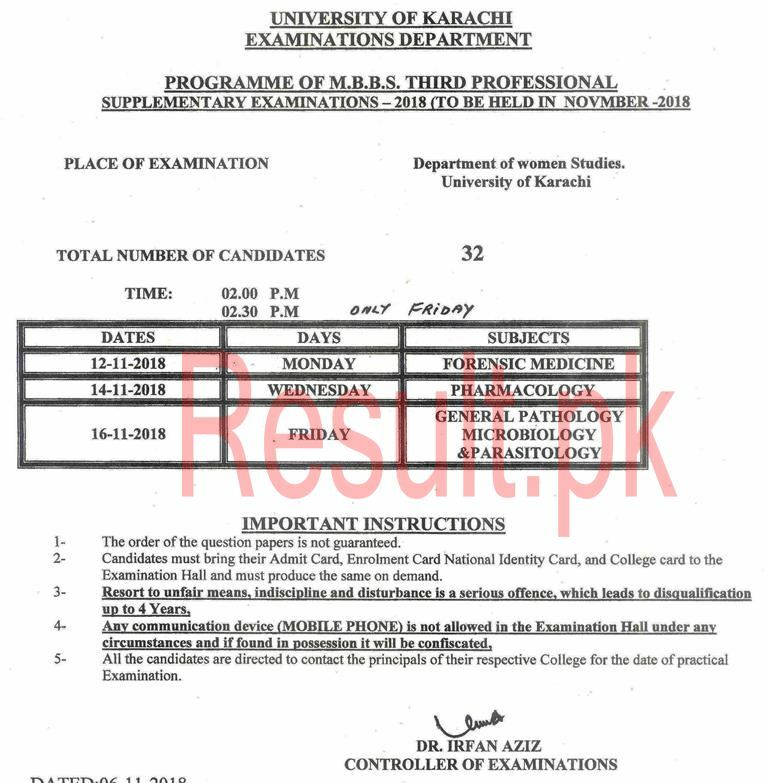 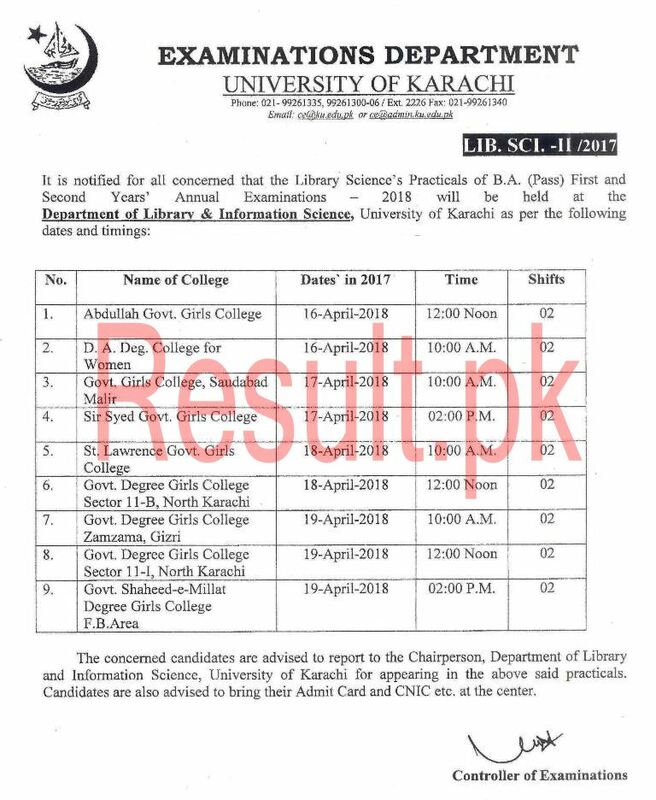 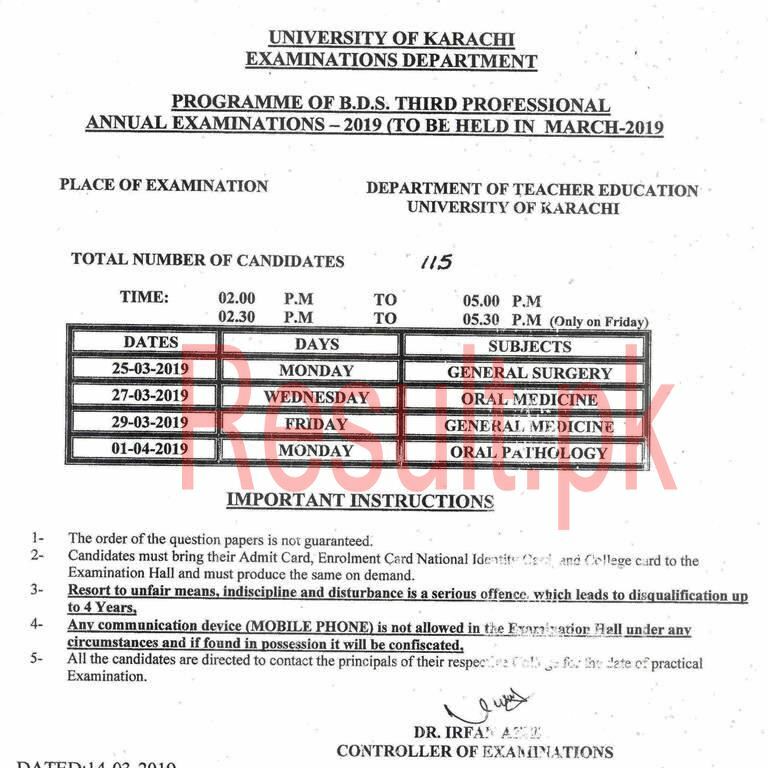 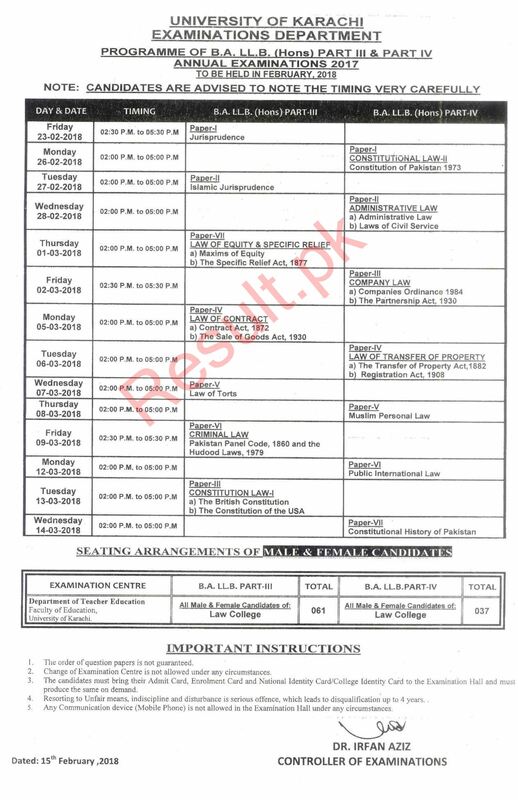 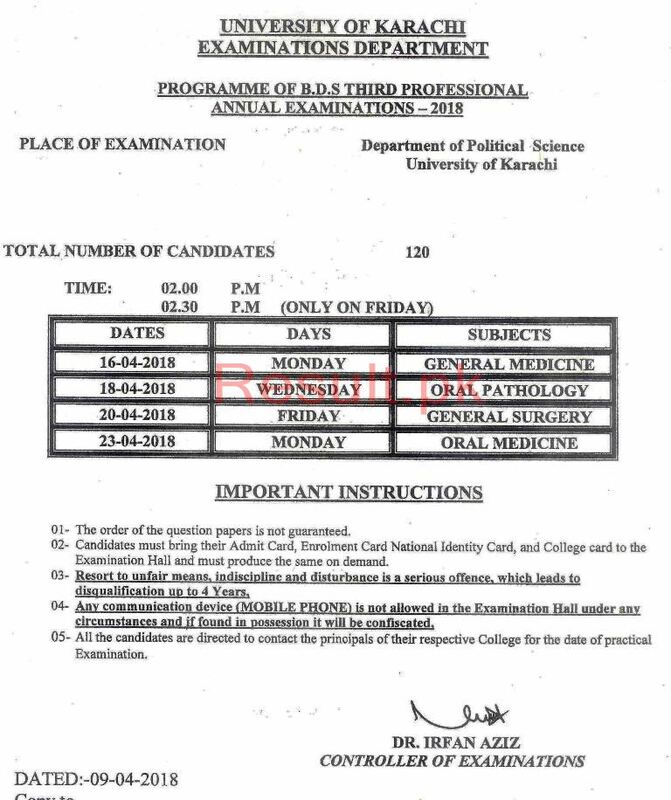 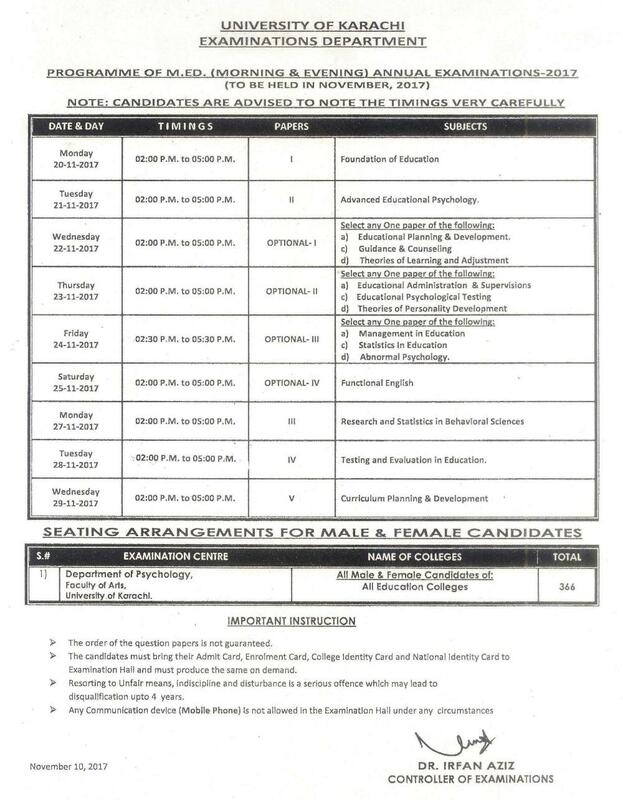 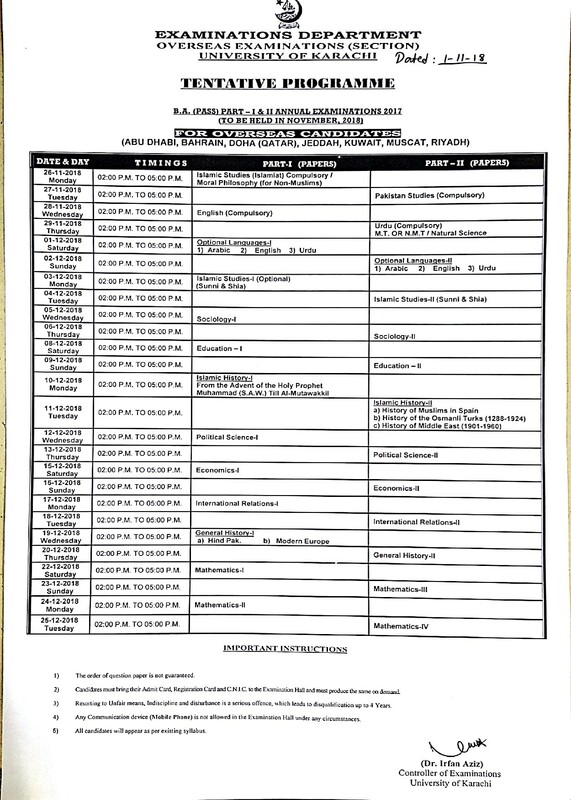 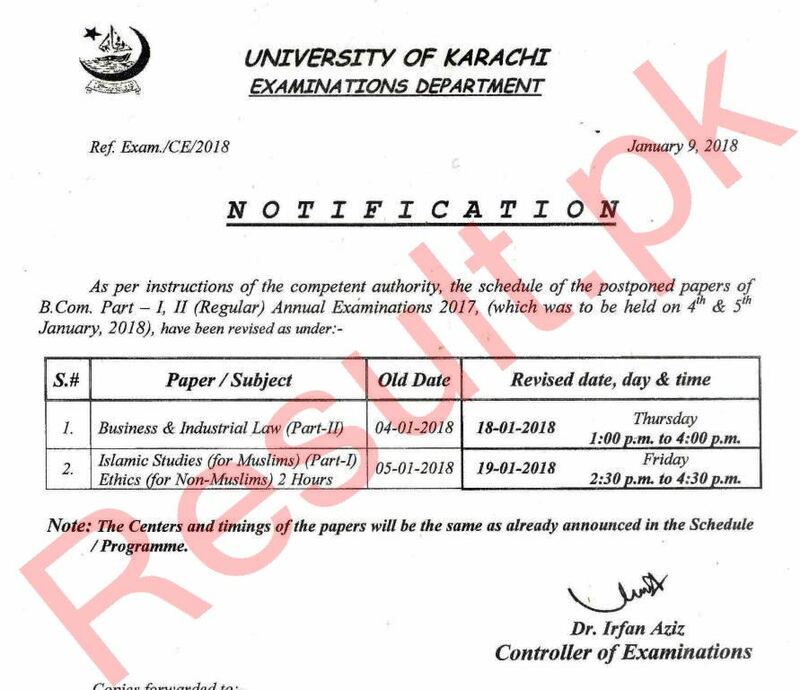 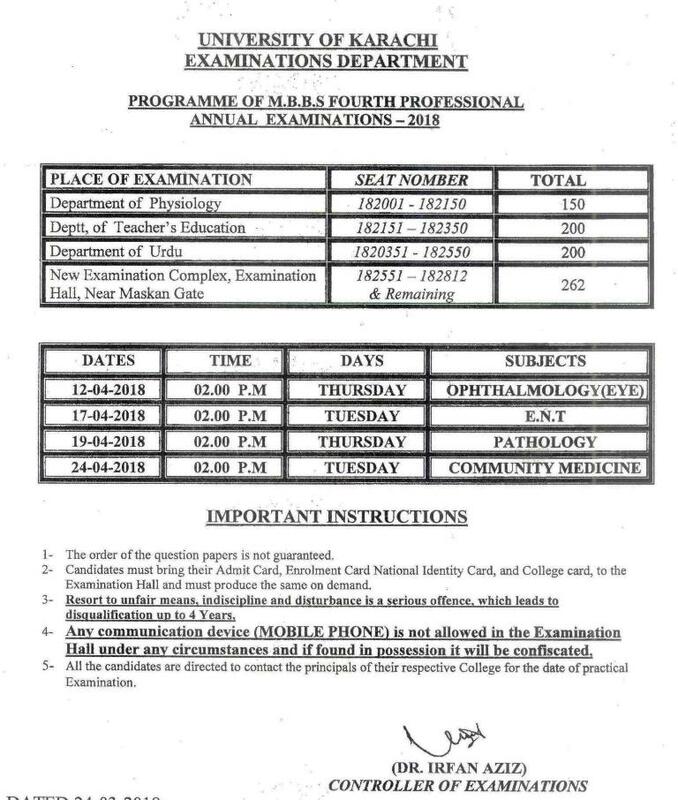 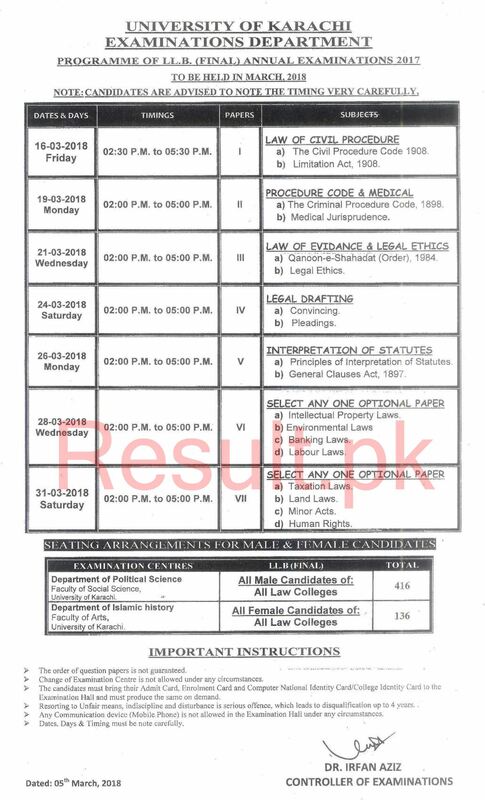 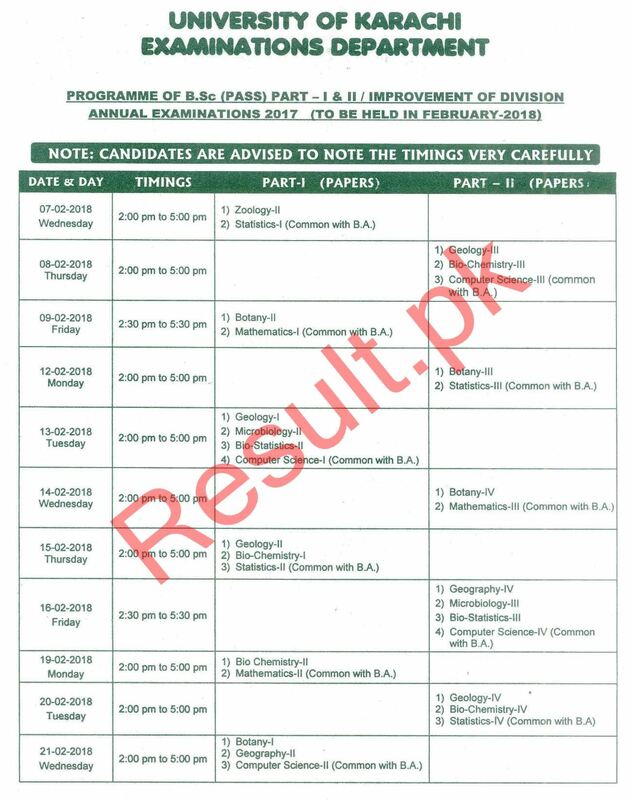 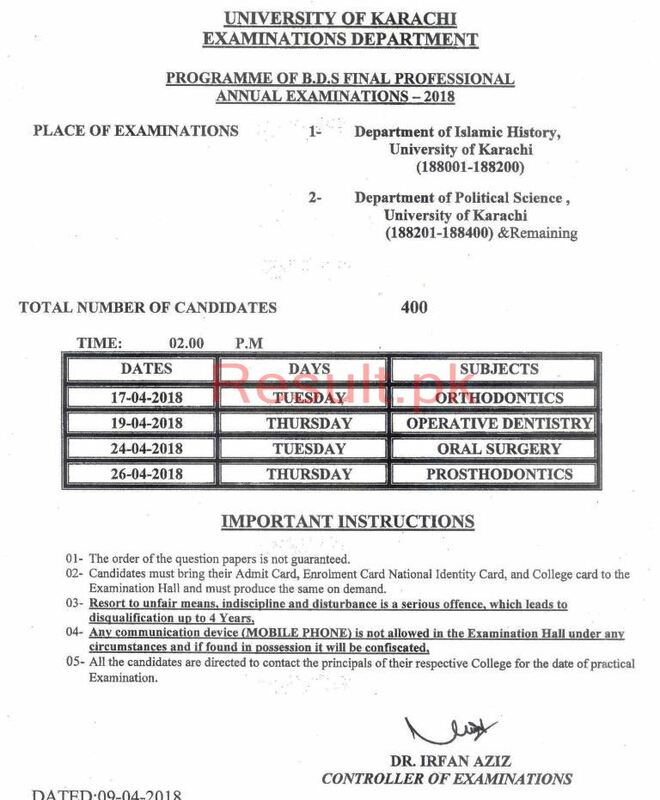 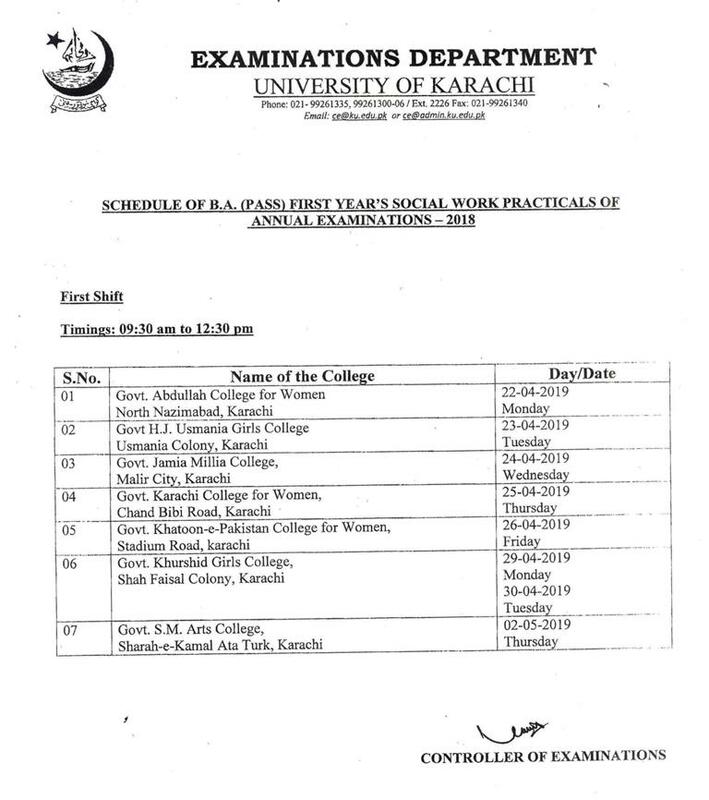 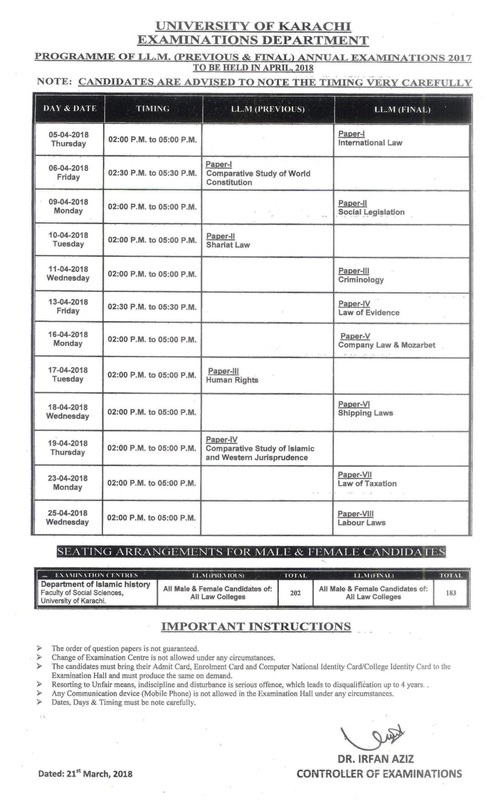 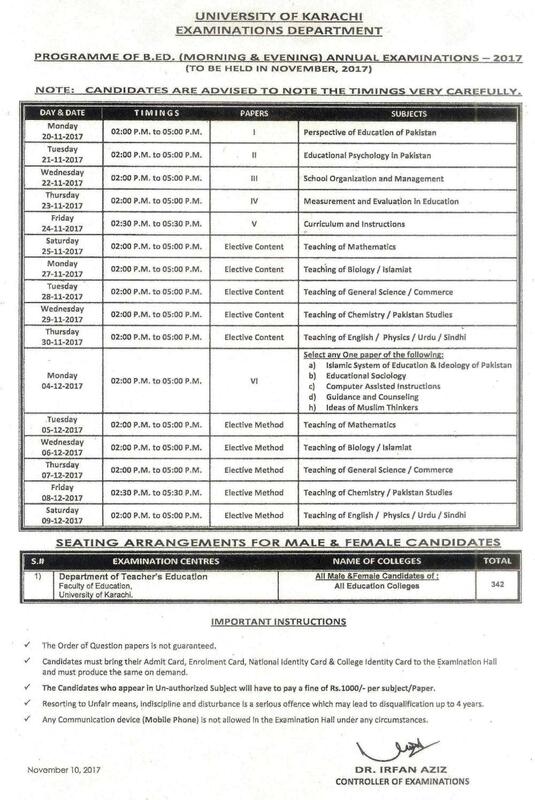 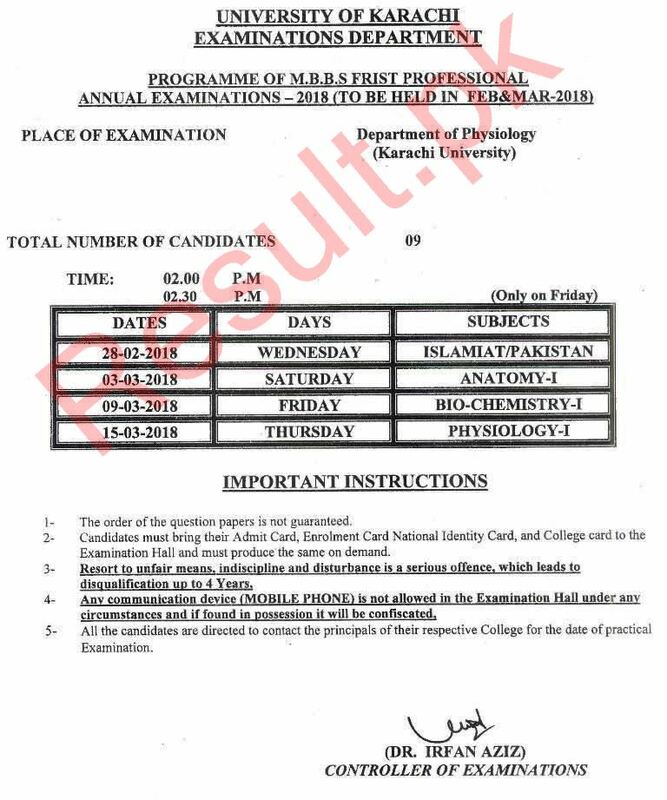 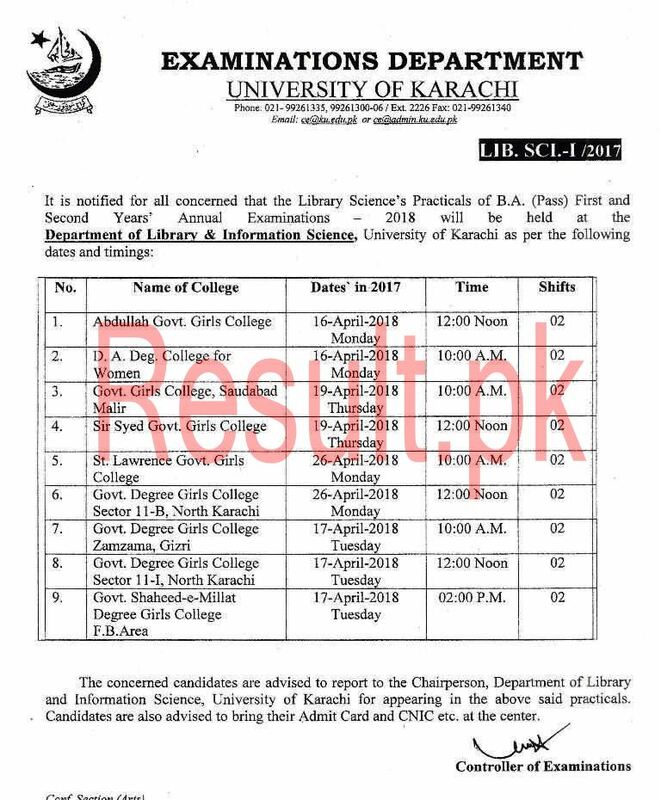 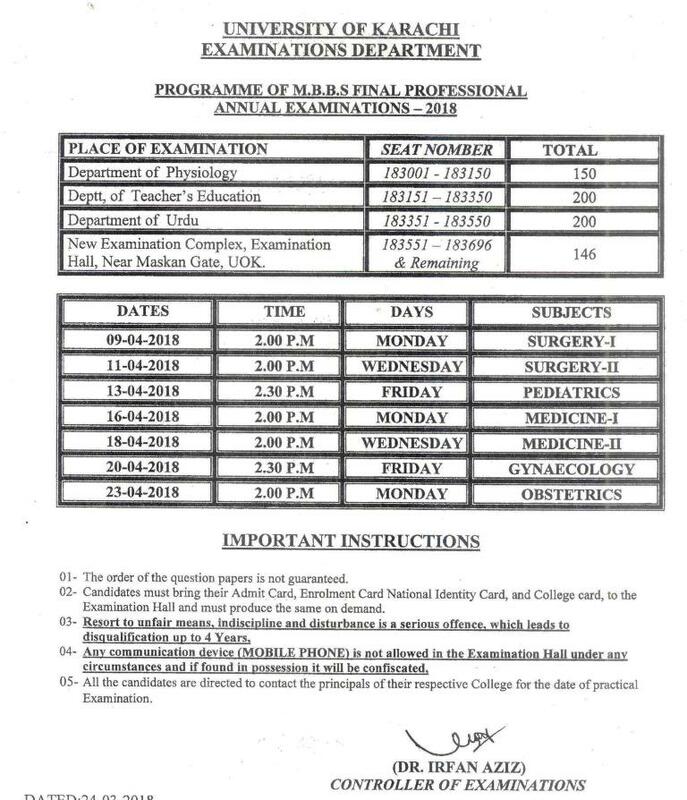 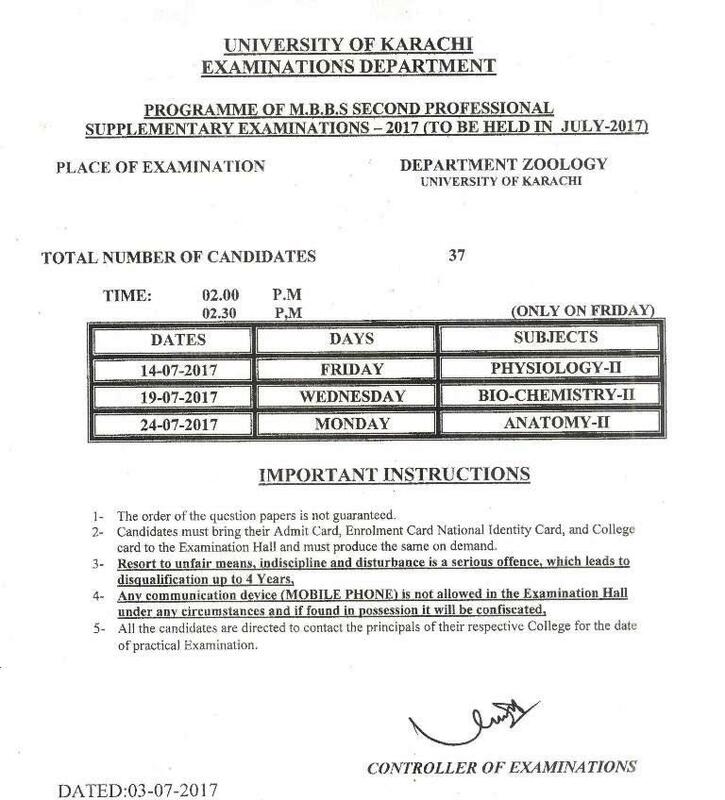 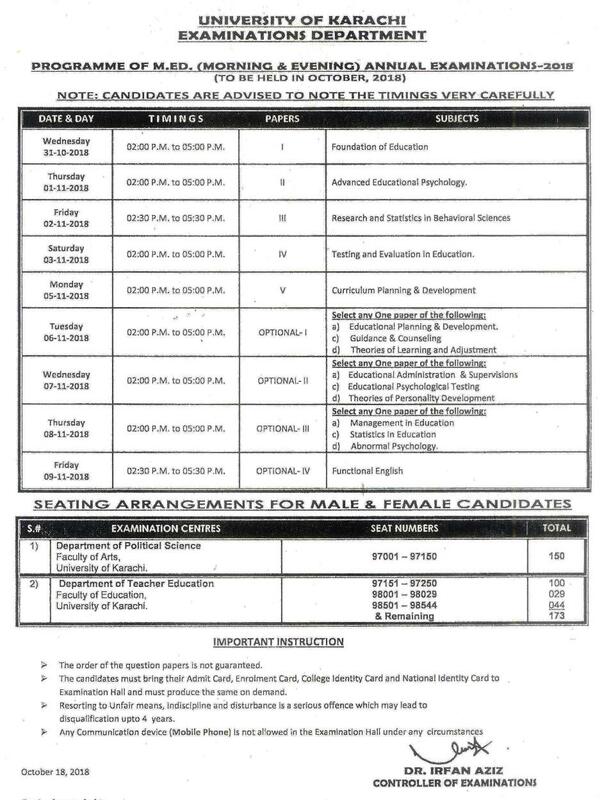 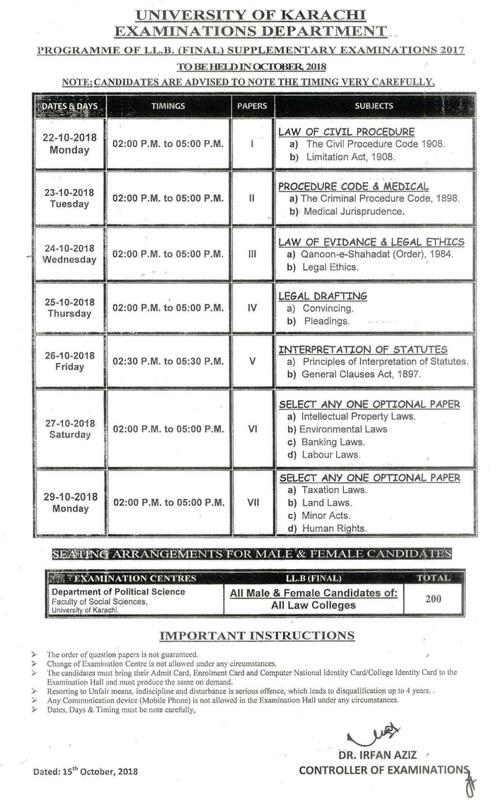 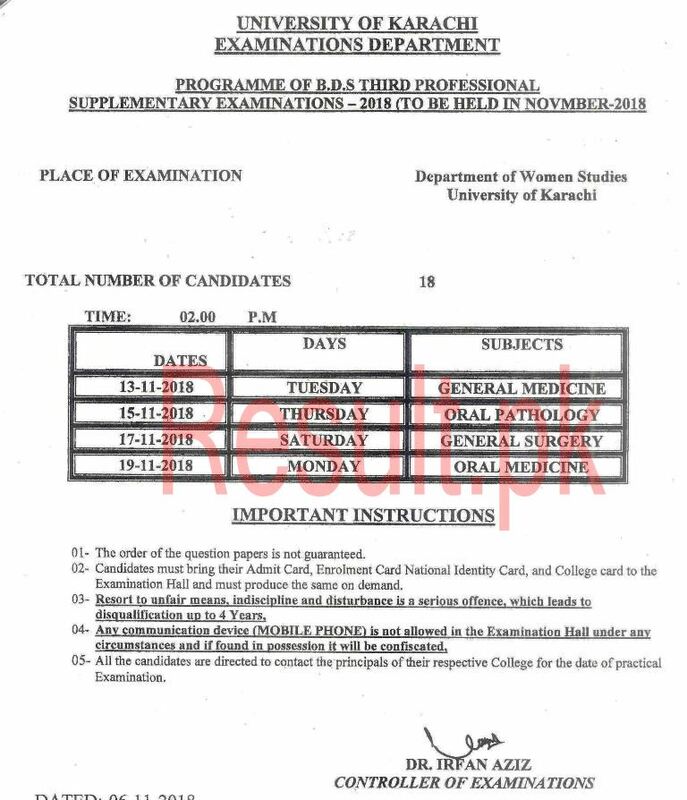 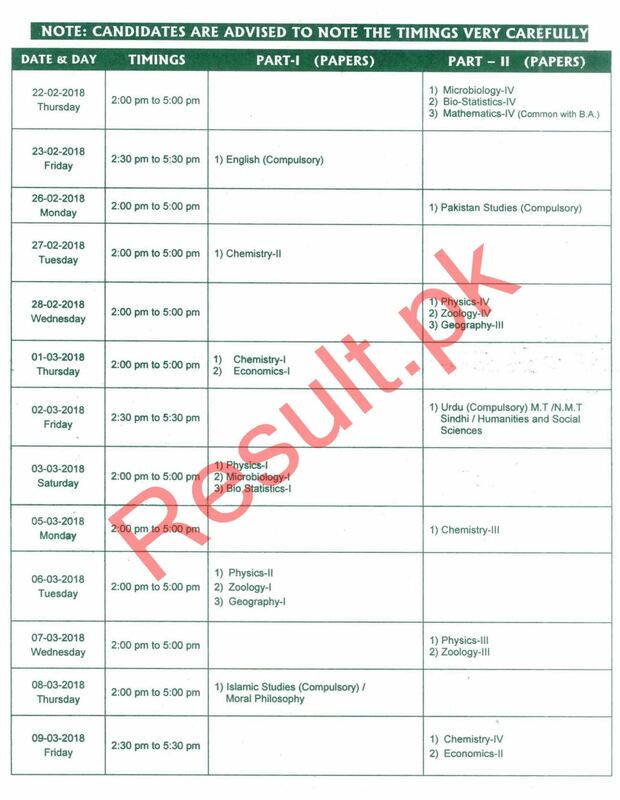 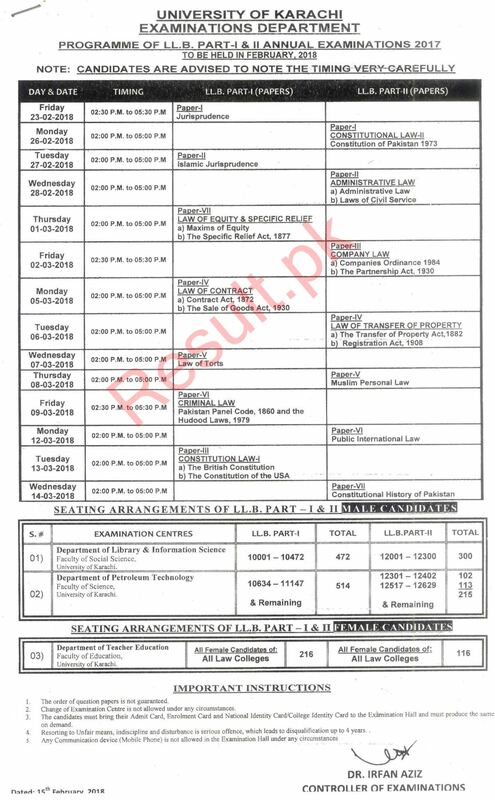 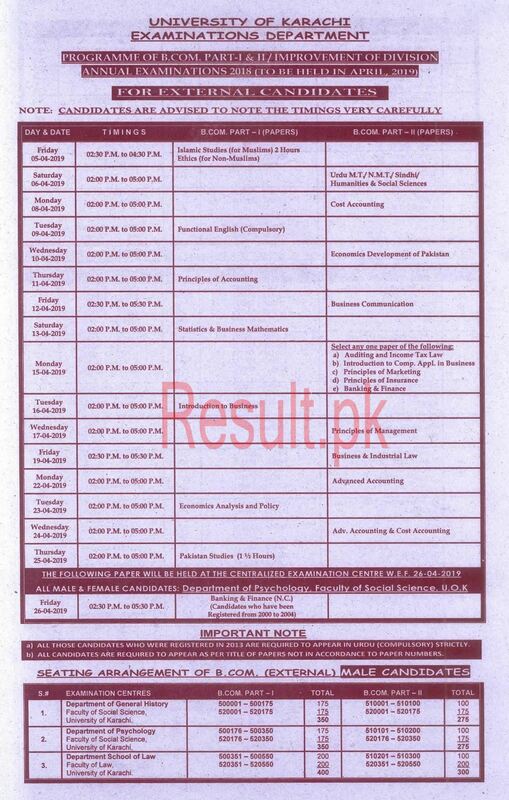 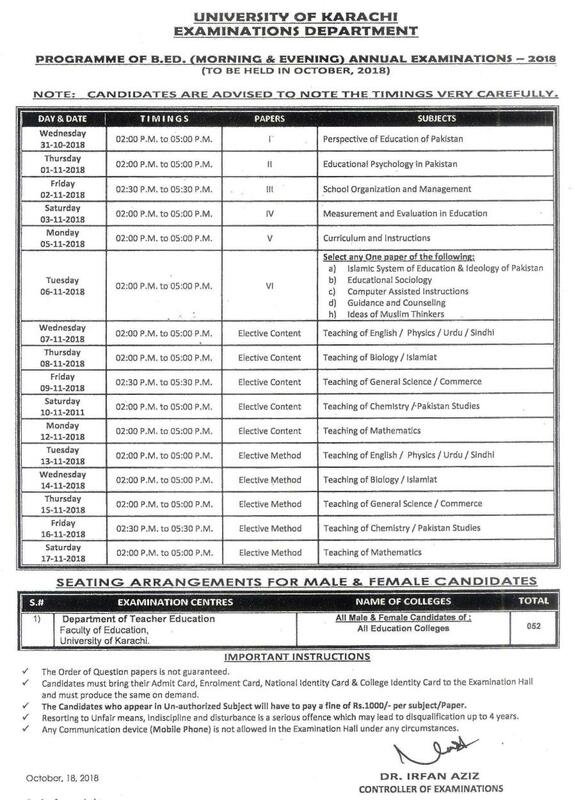 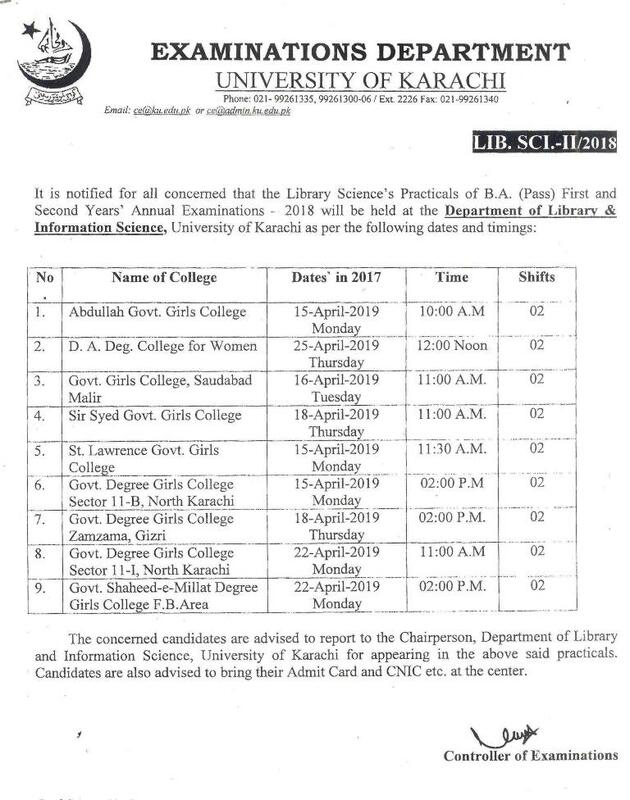 Karachi University announces the BA/ BSC annual exams date sheet and MA/ MSC annual exams date sheet few months before the start of their respective exams. 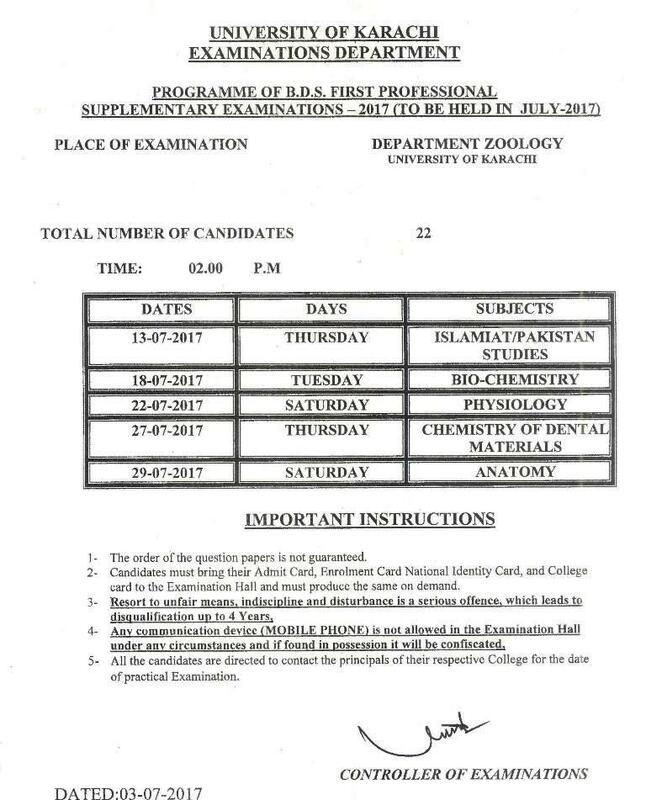 Students are able to prepare well and in time after knowing the examination schedule and time table through the date sheet. 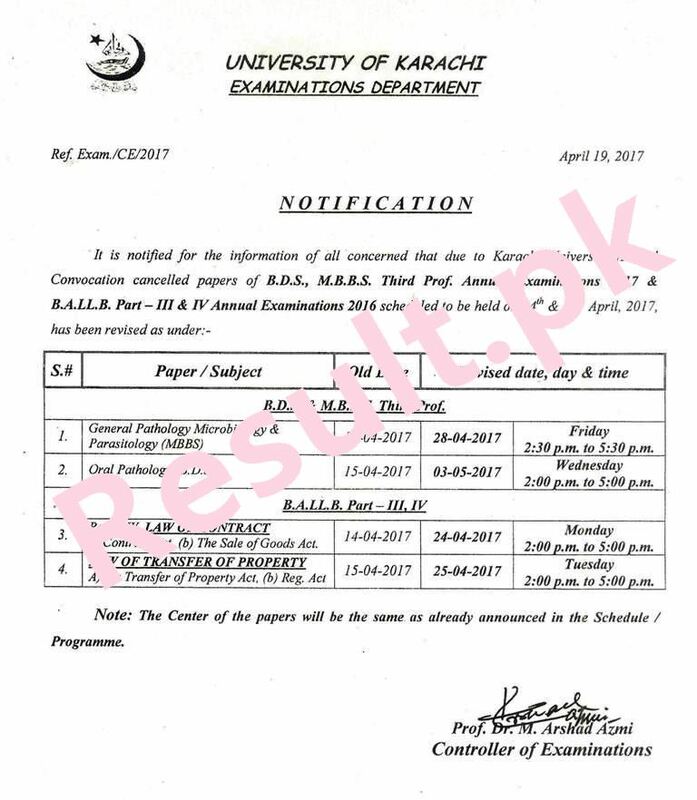 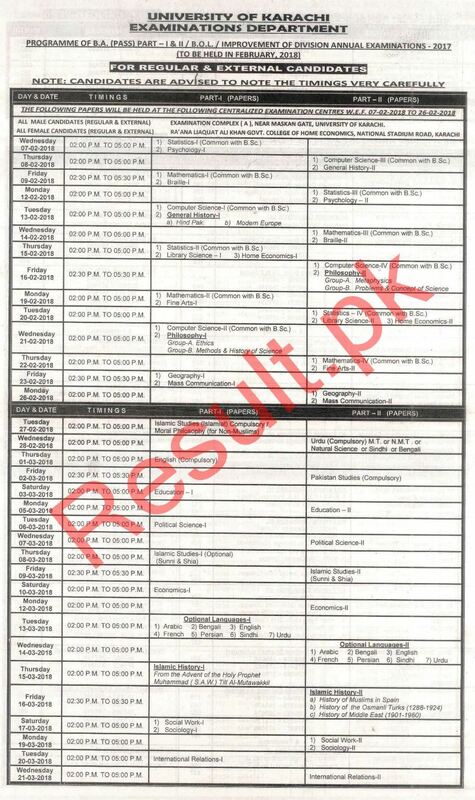 bcome reappear ki date sheet karachi university ki kb ay gi? 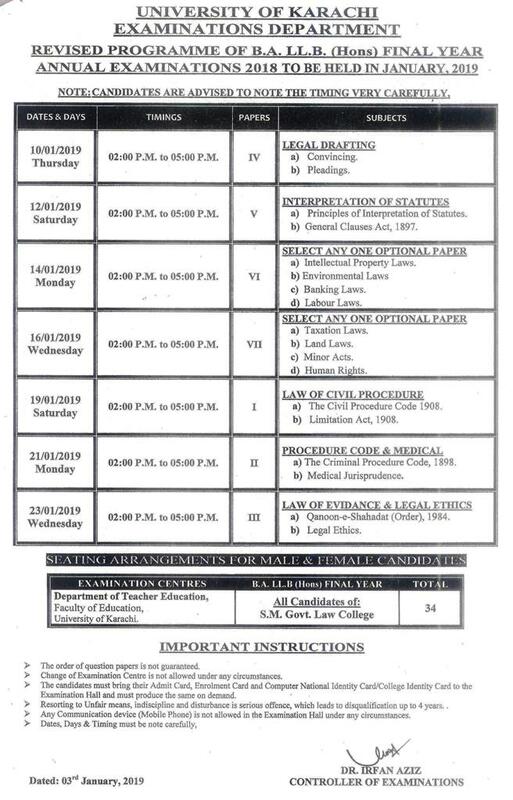 b.com part 2 k supply exams konse month mei hoge please koi bata dein?? 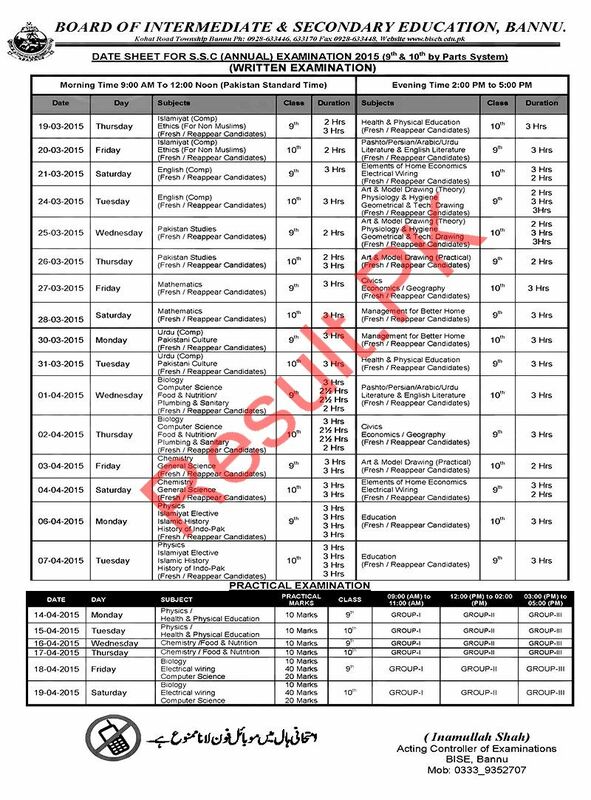 please sent me B.com Part 01 2017 past paper math & Statistics.